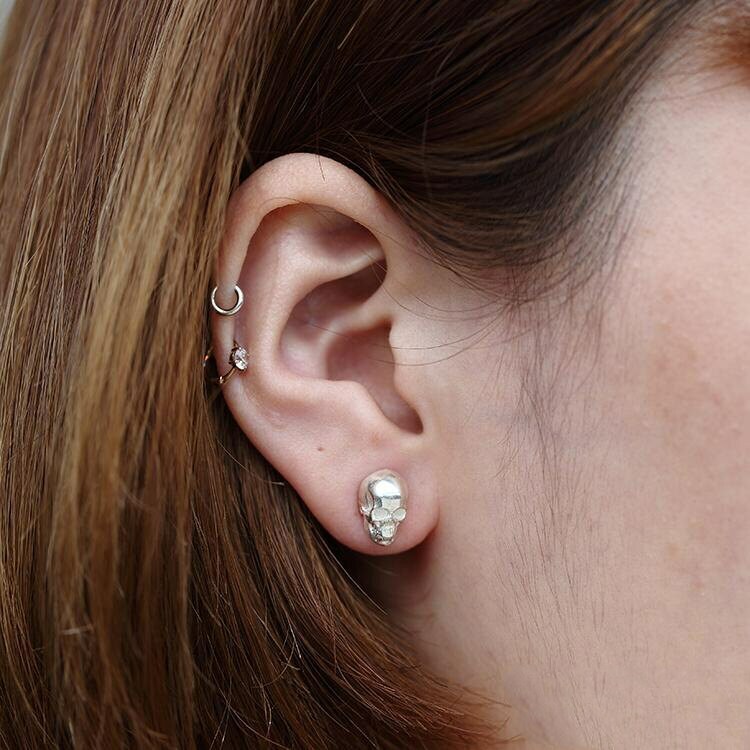 These silver skull earrings are a whimsical jewelry that is a sure conversation starter! Display that mischievous streak in your nature - or flaunt your darker side. 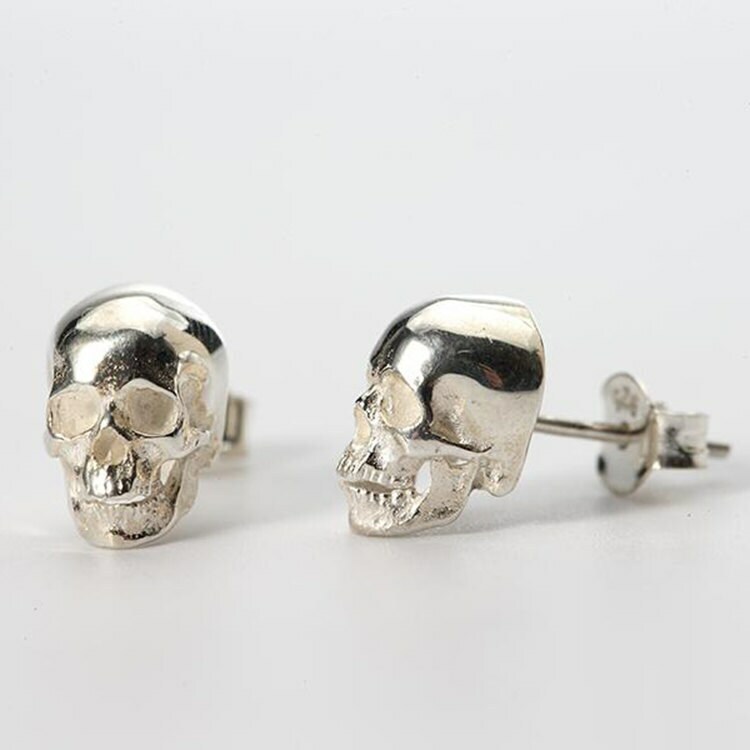 Or perhaps you are just looking for some great Halloween earrings. 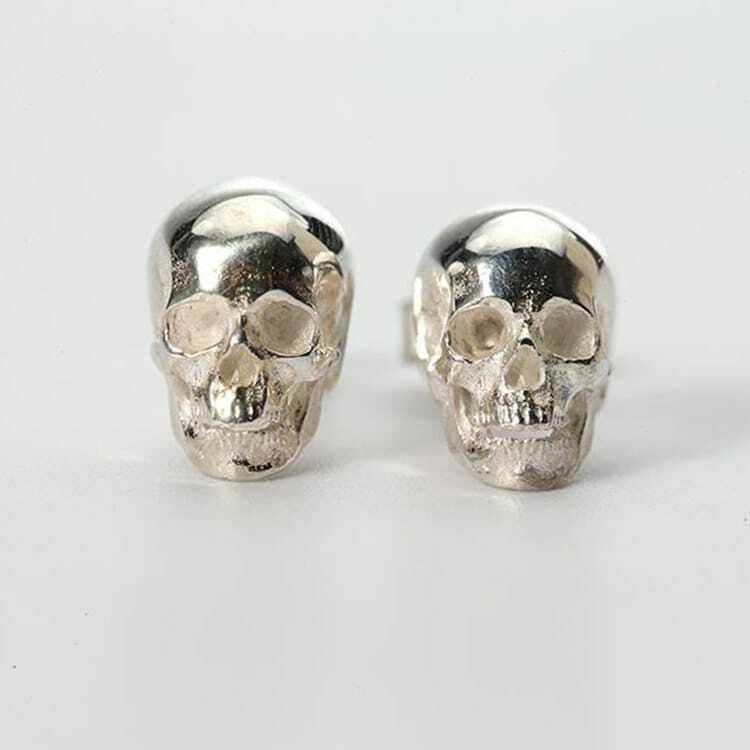 The grinning silver skulls are crafted from 925 sterling silver. 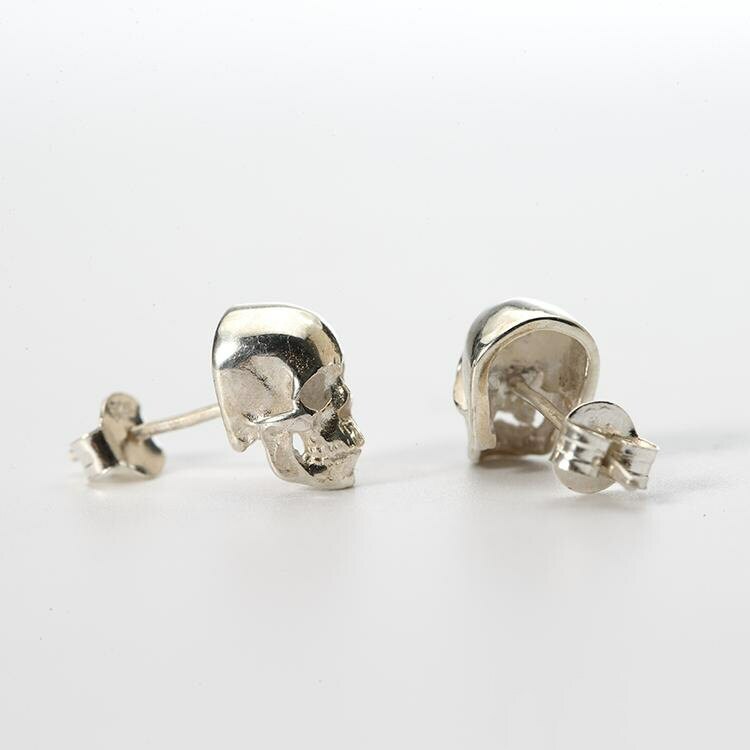 Silver skulls stud earrings are available in single and pairs. I ordered one of these as a birthday gift and the recipient loved the earring. It came nicely packaged along with a little cloth to polish the earring. The earring itself is highly detailed and absolutely beautiful. The piece screams quality. I'm tempted to get a pair myself.